If you are looking for a game gelding that never quits, look no further. “Dempsey” is our black sports car that everyone loves to ride and drive! He gives 100% every time he comes out of his stall, and is ready to do the same for you. He is a full brother to SYP High Definition GCH and a maternal brother to SLB Gordon Girl, Playmors Prinz Of Bellair and Mastroianni. 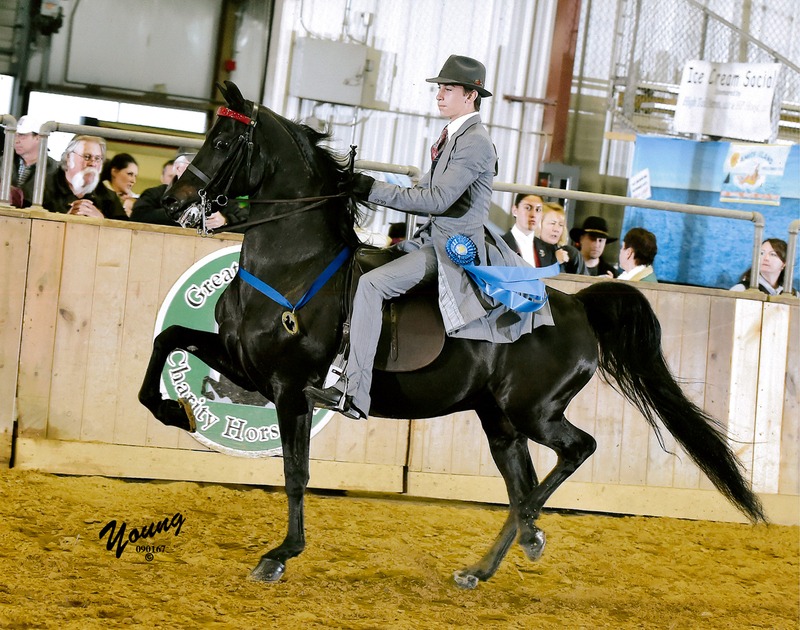 Equally suited for both park and pleasure, in harness or under saddle, he is a blast to show and has many years of winning left ahead. Don’t let his age turn you away, this kid safe gelding has plenty of go left in him, and endless show horse mentality! …plus many Grand and Reserve Grand Champion titles in hand! Pretty as a Peacock! This lovely mare is smooth, smart, and quiet. “Mia” loves her people, loves her lessons, loves her trail rides, and loves a horse show! 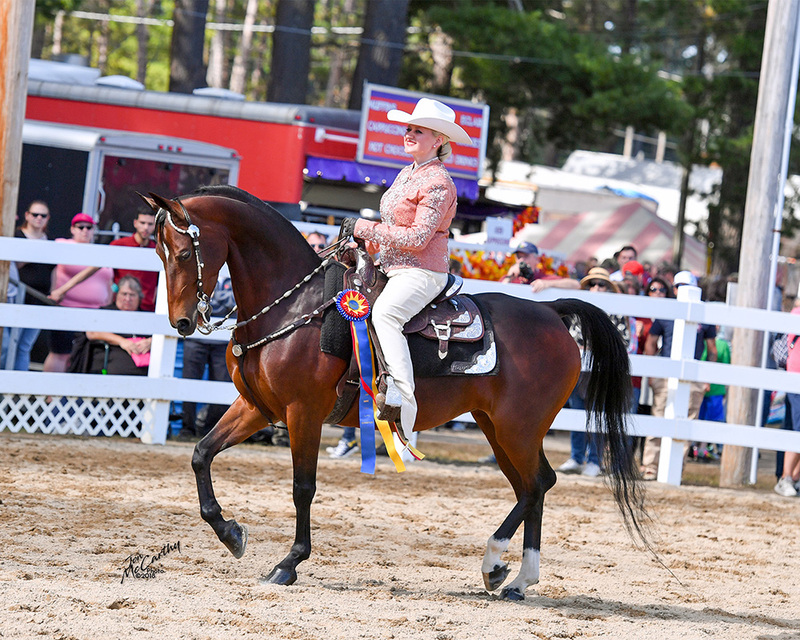 She is trustworthy for a little one, or pretty enough for a lady or junior exhibitor rider. To top it all off, she is well on her way to being pattern broke. A granddaughter of Serenity Masterpiece and Tedwin Topic, her pedigree reads like a Who’s Who of Morgandom and should serve her well as a broodmare in the future. You won’t find a nicer, show quality mare for the money. She’s won in western pleasure, classic pleasure, harness and saddle!